Mobile has become the de facto standard for learning at work. In this blog, we reveal how you can use mobile learning and how to harness its full power to the greatest effect. What’s the first thing anyone does when they want to learn about something these days? They pull out their mobile phones and look it up on Google, Wikipedia or YouTube. So much so that ‘Google’ has become a verb – just google it! It’s that easy! But do you know what they used to do? People used to look through books for answers. They used to sit through PowerPoint presentations at seminars, and stare blankly at a whiteboard. Now they use their phones. Trivia games will never be the same! Mobile phones are now everywhere. Whether in the office, at home or out on the road. We get all our information from them. Organizations are increasingly aware that mobile learning is the most cost-effective and best way to their staff. To look at it another way, mobile phones provide the lowest cost solution for accessing the greatest quantity of knowledge. It’s flexible and fast. Well-designed mobile learning modules are fast as well as flexible. It won’t take up as much of a learner’s valuable time and can be accessed from almost anywhere in the world. Instead of having to be in a certain place at a certain time to receive training, learners can access their training while sitting in a hotel room or while on a train. The Agylia Learning Technology Research Project showed us people don’t generally sit at their office desks to learn - 66% of people completed modules at home and 76% completed modules while out of the office. This illustrates that, when learning is enjoyable, useful and easily accessible, people are happy to learn and complete tasks outside working hours and in any free time during the day. This accessibility has led to a rapid growth in microlearning. A training technique that has benefitted enormously from the growth of smartphones and vice versa. Microlearning delivers learning elements in small, specific bursts that learners can access wherever and whenever they want. It holds great appeal for organizations and staff alike. An Association for Talent Development (ATD) study in 2017 highlighted that 92% of learning professionals expected their organizations to increase investment in microlearning. Microlearning is an ideal fit for the way we use our mobile phones to digest and consume information. The larger touchscreens of tablets are great for game-based and gesture interactions, which helps to stimulate the senses. Though, in order get the most out of this happy marriage of learning and technology, there are three steps you need to take before you tie the knot. Recognize the advantages of a ‘bring your own device’ (BYOD) policy - including increased productivity, ease of access to content, as well as cost savings. 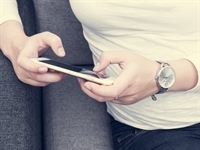 Mobile first should be your goal, and make sure your content is designed for mobiles. Use a dedicated App to run your learning program. A browser says, “here is a place to start looking for what you need’’, which is extremely irritating and off-putting. An App says to the user, “here is the information you need”. Within an App, (consistent) branding is greatly simplified. With an App, information is displayed the way the designer intended it, consistently. Even today, different browsers on different devices often cause some elements to be displayed differently. An App ensures that this won’t happen. Mobile users don’t like using generic browsers. It takes them longer to find information - even if they have a URL. They also know the delivery of the information won’t be as good. With an App you can deliver all sorts of messages and set up a common destination for them, all with a single tap. An App is ideal for sending push notifications to users. It is widely acknowledged that only 5% of promotional emails are read, while an impressive 97% of push notifications are opened and 90% of them are read within the first three minutes. Today’s learners require access to their learning and support materials in familiar surroundings and at times of their choosing. Apps are the easiest way to provide this capability. While there may still be a requirement for formal learning in the work environment, for some specialized skills, mobile learning has become the accepted solution, and its popularity is growing. Previous Article Agylia extends presence in the US as it welcomes Compliance Training Solutions to the Agylia Partner Program.